customer is the hero and your brand is positioned as their guide. Just Need A Quick Website Check? Wondering if your website has a clear message and strong call to action? Every website needs 5 specific key components in order to attract and convert customers. How does your website measure up and what might be missing that is causing you to lose potential customers? 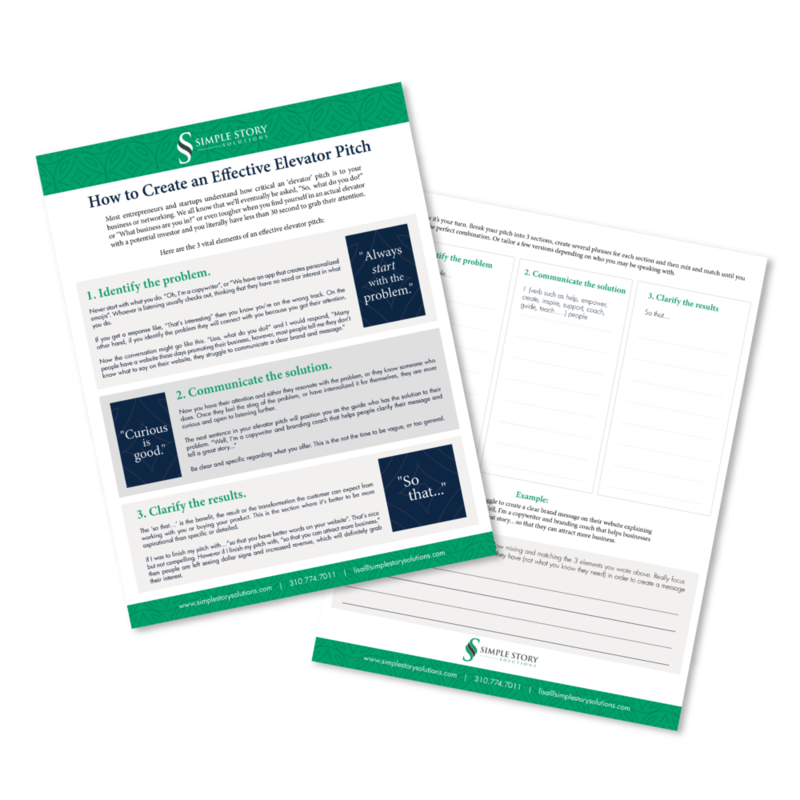 Download a free 3 step worksheet that will help you create an effective elevator pitch to use on your website, marketing or networking events. Hey, thanks for connecting. Here is the link to download your worksheet. This worksheet has helped hundreds of clients get clear on the problem they are solving and how they are helping others. It can do the same for you. I’ll keep you posted on other helpful tips for creating a simple and clear message for your website, marketing and for your internal communications.